Originally published under the title "Why Is A San Francisco University Secretly Partnering With An Arab College That Promotes Jihad?" SFSU President Leslie Wong has come under criticism for failing to take sufficient action against anti-Israel hate groups on campus. San Francisco State University (SFSU), which has a well-deserved reputation as a breeding ground for anti-Israel radicalism, became national news in April. That's when campus police stood by as a hate-Israel group, the General Union of Palestinian Students (GUPS), shouted down and disrupted a lecture by Jerusalem Mayor Nir Barkat, prompting much criticism of SFSU's president, Leslie Wong. But there's worse. As revealed by an investigation into SFSU by Campus Watch, a project of the Middle East Forum, SFSU has partnered with a Palestinian university that's a hotbed of radicalization. 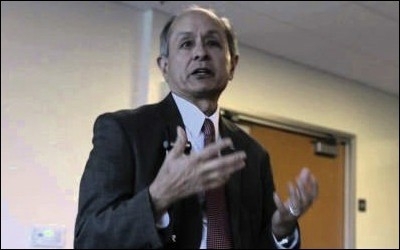 SFSU signed a memorandum of understanding (MOU) with An-Najah University of Hebron in 2014 at the behest of Rabab Abdulhadi, director of SFSU's Arab and Muslim Ethnicities and Diasporas Initiative (AMED) and founding member of the US Campaign for the Academic and Cultural Boycott of Israel. The memorandum of understanding that President Wong signed with An-Najah National University in Palestine ... is the first time that we have any agreement with any university in the Arab or Muslim world and we are very excited about that. When I returned from Palestine two years ago, I said I want to be one of the first major universities to sign an agreement with An-Najah or any of the other Palestinian universities, or any of the universities in the Arab world. Given this public preening, it is disturbing to learn that SFSU's administration officially only corroborates the MOU indirectly on its website. Worse, in an arrogant disregard for the public's right to know, Wong has refused to respond to repeated inquiries from Campus Watch about the agreement's specific contents. What are the terms? The duration? The financial arrangements? And so forth. 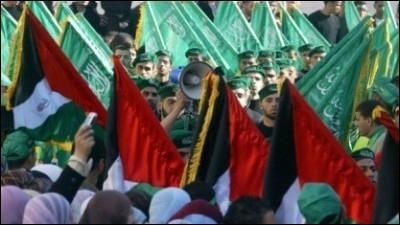 Supporters of Hamas and Fatah rally during the Najah University student council elections in 2006. This reticence may be due to Najah U being lauded by Hamas itself as a "greenhouse for martyrs." Matthew Levitt, director of the Washington Institute for Near East Policy, says it's known for "terrorist recruitment, indoctrination and radicalization of students," while the Anti-Defamation League reports that its student council "glorifies suicide bombings and propagandizes for jihad against Israel." For example, Najah student Maram Hassoneh was killed attempting her second knife attack on IDF soldiers in 2015. At the June 2014 graduation ceremony, students held up three fingers to represent Hamas's kidnapping of three Israeli teens. On another occasion, Najah students constructed a gruesome replica of the 2001 suicide bombing in a Sbarro pizzeria in Jerusalem. We do not want to ... teach students how to grow up and build bombs and destroy other people. President Wong's silence following repeated inquiries is unacceptable. Californian taxpayers fund SFSU and they have a right to know the details of and the implications of its MOU with Najah. The American public deserves to know the full truth about SFSU aligning itself with the enemy. To that end, Campus Watch has prepared a Freedom of Information Act (FOIA) request to SFSU to make public the MOU. Campus Watch also calls on the chancellor of the California State University, Timothy P. White, to investigate SFSU's memorandum of understanding with Najah; and on the education committees of the California state legislature and U.S. Congress to hold hearings into this matter. In a time of global jihad, the public deserves to know the full truth about one of its universities aligning itself with the enemy.